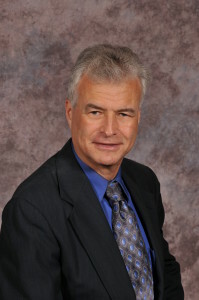 • Dr. Schulz has over 35 + years of experience in working in the mental health profession. • Extensive background in working with individuals in building and maintaining healthy personal relationships, maintaining balance in life, managing stress, and promoting, physical, mental, and spiritual well-being. • Extensive background in evaluation assessment/testing, individual, marriage, and family counseling. • Doctorate in Psychology, Union Institute and University, Cincinnati, Ohio, 1992. • Licensed Psychologist in the State of Ohio since 1994. • Masters degree in Psychology, California State University, Los Angeles, 1981; Bachelors degree in Behavioral Sciences, California State University Pomona, 1977.
addictive behaviors, and bipolar disorder. However, I treat most psychological conditions. I work with individuals, couples, and families. My treatment approaches draw from a variety of interventions including: Behavioral Approaches, Cognitive Behavioral Therapy (CBT), EFT, EMDR, Energy Psychology, Family Systems, Communication and Conflict Resolution Training, Relaxation Training, biofeedback, Mindfulness, Guided Imagery, Law of Attraction (used in a manner consistent with Christian beliefs), and Psychodynamic Approaches. In addition to treating mental health conditions I also work with relationship issues and provide couples and family counseling. I emphasize changing the way people communicate to one another about conflict without responding in a reactive or destructive manner which can result in blocking efforts toward healthy conflict resolution and boundary setting. I teach healthier ways in which couples (or family members) can effectively resolve conflicts. Often while working with people I find that there are specific triggers from events of the past either in the history of their current relationship or events that happened in the individual(s) prior to their relationship that is carried into their personal emotional energy field that is "re-triggered" in the present. For this type of situation I use an Energy Psychology approach and other approaches in working with reducing/eliminating these triggers and thus helping an individual(s) to be more able to relate to others in the present without past emotional baggage hijacking their emotional/behavioral responses preventing them from forming a healthy connection. Many individuals I work with are specifically seeking natural and alternative forms of treatment that does not have the potential side effects associated with pharmaceuticals, biologics, drugs, or other medication. I emphasize an integrative/holistic approach addressing behavioral issues and habits that influence your mental health. I address individual and relational patterns that effect the health of body, mind, soul, and spirit. I recognize the connection between mental health and your overall energy level, personal behavioral patterns, amount of physical activity/exercise, amount of rest/sleep, the thoughts you think, your interaction with others, how you prioritize what is important in your life and manage your time and resources, how you live out your inner spiritual or core beliefs, food/drink intake, and your usage of vitamins or supplements. Please note, I personally do not and will not sell vitamins or supplements to my patients; however, I will share with you resources concerning various uses of vitamins and supplements. A Registered Nurse with a holistic practice and a Licensed Acupuncturist practice independently within the office suite and as appropriate I refer patients to them so they can assist you in your overall healing process. I believe too many times we overuse pharmaceuticals to treat mental conditions when other approaches can be used along with or together with natural and alternative reducing the occurrence of side effects associated with pharmaceuticals. My own life perspective is faith based. I am a Christian. It is the core principle upon which I base all of my interventions. I am a member of the American Association of Christian Counseling (AACC). I have a faith perspective that is inclusive toward all rather than exclusive of any… a faith perspective based on grace, forgiveness, and a loving creator, instead of fear, judgment, or condemnation. I believe that prayer is beneficial and that miracles do occur. I also believe our relationship with God is between us and God rather than any particular church. I will not preach to you and not impose my belief system on you and will respect your individual belief system. However, people often seek me out because of my emphasis in the area of Christian Counseling.